Lack Community Group and the P6 and P7 pupils from Lack Primary School are tackling litter in their local area through the ‘Adopt a Spot’ initiative. Lack Community Group has recently signed up to the ‘Adopt a Spot’ Live Here Love Here initiative. 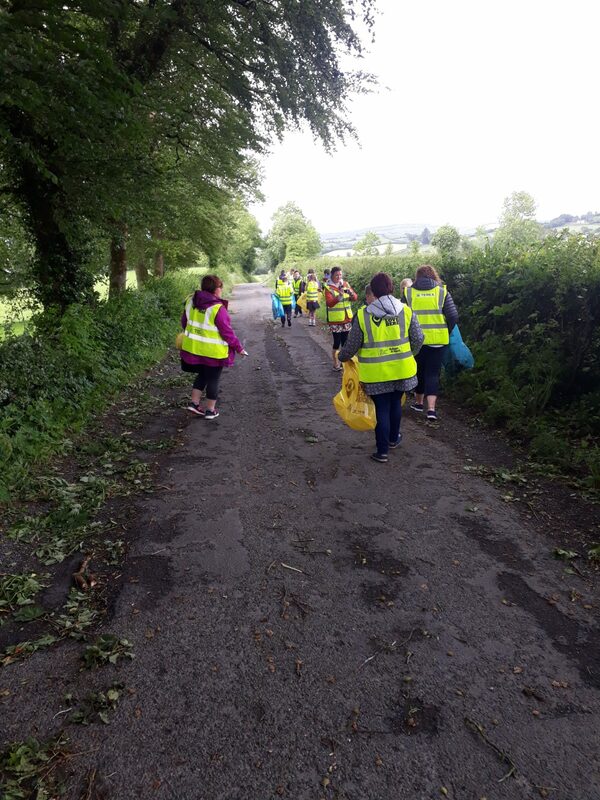 Supported by Fermanagh and Omagh District Council, ‘Adopt a Spot’ helps individuals and communities to adopt an area and look after it by organising litter picks and clean ups. Organised by Jane Scanlon, Chairperson, Lack Community Group and the primary school pupils, with support from their teachers Ms Amber Walsh; Mrs Sara Auterson and Mrs Jenny Watson, Lack Community Group Assistant Treasurer, Charlotte Humphrey and local Councillor, Cllr Diana Armstrong, the group recently took part in a litter pick in Lack where they collected more than three bags of rubbish, sorting the rubbish into bags of recyclable and landfill waste. The litter pick event was sponsored by Terex Materials Processing who provided hi vis vests, gloves and pickers so that everyone could take part safely. “Unfortunately littering is a common problem within the district and looks unsightly and may also be dangerous to local wildlife. It also comes at a significant cost to ratepayers with the Council spending more than £1.6 million on litter, illegal dumping, fly-tipping and street cleaning. Fermanagh and Omagh District Council is pleased to support the ‘Adopt a Spot’ campaign which is an effective way of making a positive difference in local communities. Dropping litter is an offence and carries a Fixed Penalty Notice of £75. If a litter bin is full, members of the public should take their litter home to prevent it creating a mess and posing a risk to wildlife. Anyone can ‘Adopt a Spot’. 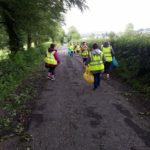 Fermanagh and Omagh District Council supports those taking part in the initiative by lending litter pickers and hi vis vests and will collect the bags of rubbish following the event. Items must be booked at least two weeks in advance of the event.